Looking for the perfect bridal or bridal party gift? Look no further than this stemless Bridebop Vacuum Insulated Wine Tumbler. It is 10oz, BPA free, has sweat free technology and crafted from durable food grade stainless steel. Its designed to keep your favorite beverage(s) cold up to 12 hours. 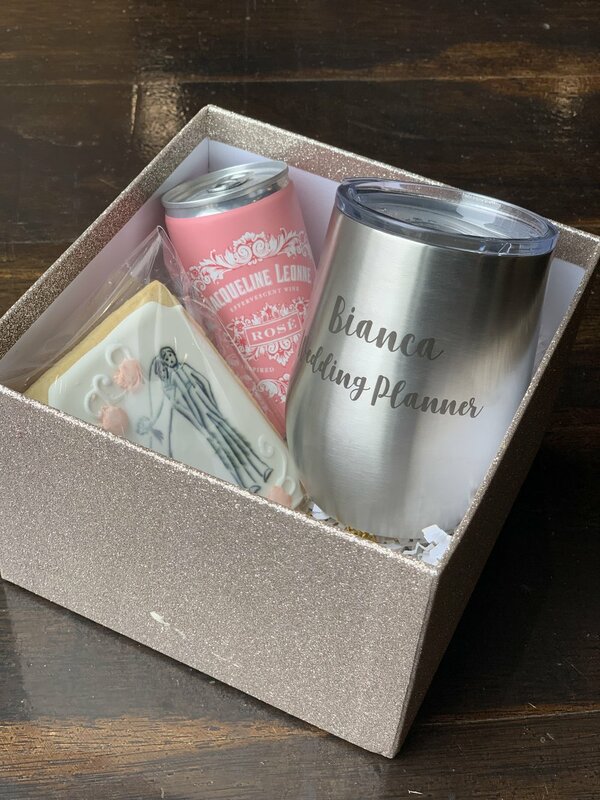 Picture yourselves sipping out of this fancy wine tumbler during getting ready time (for all those fun photos) as well as beyond the wedding day! 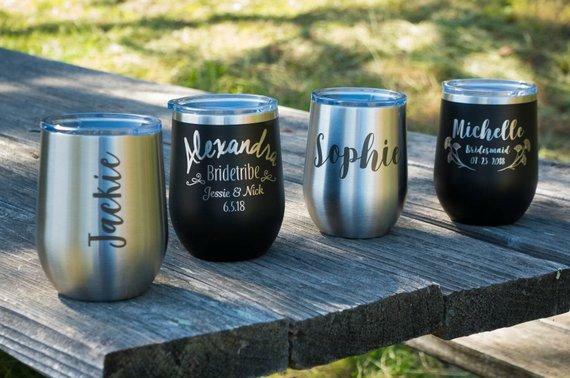 Best of all, these wine tumblers are personalizable with any personalization (such as your favorite pals’ names/nicknames) to make it extra special and memorable. I recommend doing 1-2 lines of text and keeping your personalizations less than 10 characters long. It’ll look best that way! I’ve really enjoyed using my wine tumbler, especially “on the go”. It is very easy to handle, visually appealing, and keeps my rosé cold for hours! You seriously can’t go wrong with this gift! The pricing is great and the customer service at Bridebop is excellent! If you need any other gift options and/or ideas hop over to their other website (https://groomsday.com/) and Pinterest boards (links below). They are a great resource for more awesome ideas for groomsmen & bridesmaids gifts.